Meet Karissa - Our March Member of the Month! 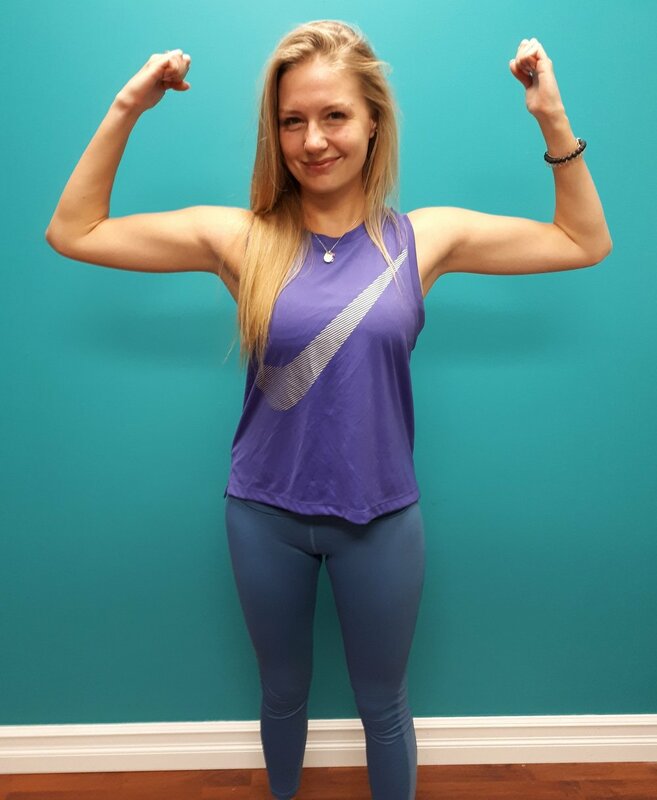 This month, our member is Karissa Lawrenson, who is one of our VIP members and regularly attends a wide variety of classes, but her favourite is definitely Body Sculpt & Sweat! Karissa has been with us since the very beginning (2 years next month!) and was a participant in our 2019 Loyobo Challenge, which ends on March 16th. We have seen so much progress over the last 6 weeks with Karissa and we have been so proud to watch her have some very powerful mindset shifts regarding how she views her body, how she defines success, and learning how to love the skin that she is in! Karissa is an example of what can happen when you are not willing to give up and when you are brave enough to recommit and reapply yourself, even when it isn’t convenient or easy to do so! We love having her as part of our morning crew and feel so incredibly lucky to have had her support along the way as Loyobo has grown and as we have learned and figured ourselves out. We absolutely adore you and cannot express our gratitude, Karissa! We truly think you are awesome. This month, Karissa, we celebrate YOU! We cannot wait to see what comes next in your journey. Thank you for being a part of our family and for sharing your story with us! I have been coming to Loyobo FIT … since before it was Loyobo! I started when Courtney first offered classes out of a rental space downtown (April 2017). 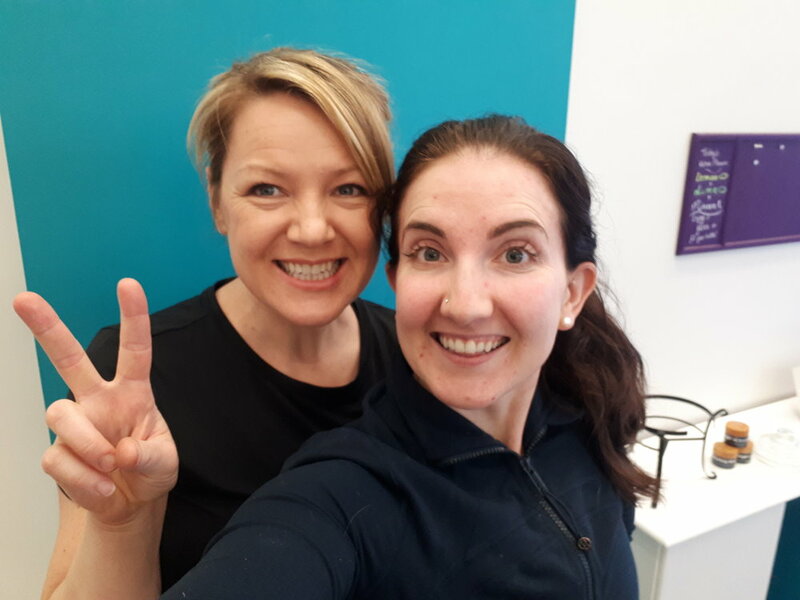 My friend (and workout buddy) Sarah told me about the super energetic fitness instructor (that’d be Courtney :) who was starting her own business and was going to offer classes a few times a week. It was close to my work and my workout buddy was doing the classes too, so it was a win-win! I was also ready for a change in my exercise routine, so I thought I would try - I was hooked from there. I was happy when Loyobo opened at their current space - it is a quick 5 minute drive to the studio from my house (and - thankfully - has significantly fewer stairs than her downtown studio did!). 3. Focus on how I feel rather than the numbers on the scale. What is one of the challenges or fear that you have faced in your health/fitness journey? What have you found most helpful in working to overcome it? Karissa rocking a high five plank with Kurt! Physically, my body has changed. It was gradual, but I eventually noticed that consistent exercise was helping (who knew! ;) Exercising has become a routine and not something I do on and off - I can’t imagine starting a weekend without the Saturday morning class. My favourite achievement is that I reached one of my Challenge goals, which was my #1 goal - develop a more consistent exercise routine. I’ve always liked exercising, but disliked afternoon or evening workouts - at that point it always felt like another chore to do. I decided I would commit to the 6:30 am workouts on Wednesdays and turned that into a habit. Now I have started coming to the Monday 6:30 am class. Do I love getting up for a 6:30 am class? No - who does?! But I love the way I feel the rest of the day for having done it. I just make sure I set my alarm with the exact amount of time to get ready and drive to the studio - I’m halfway there before my mind has fully realized what is happening and how early it is! Find what works for you and take it one step at a time. My favorite studio classes are the Saturday and weekday morning Sculpt and Sweat - I like a lot of bang for my buck, so I like the full body workout offered, the option to increase my intensity and challenge myself, and the variety in the workouts. I especially like the “sneaky exercise” games we play at the Saturday class:) I also love the outdoor classes and am looking forward to them again in nicer weather. Congratulations Karissa! You deserve this moment in the spotlight as we celebrate the awesomeness that is YOU. THANK YOU for being vulnerable and open to sharing your story and for reminding us that consistency and patience is where we will find success. There is value in showing ourselves kindness and staying committed to our goals, even when life makes it hard sometimes! We are seriously so proud of you and feel so lucky to have you as part of our Loyobo Family! Feeling inspired? You could be our next Member of the Month! All you need to do is take the first step on your journey, just like Karissa did two years ago! Try a class today and make sure to say hi if you see her around the studio! Meet Jenn - Our February Member of the Month! 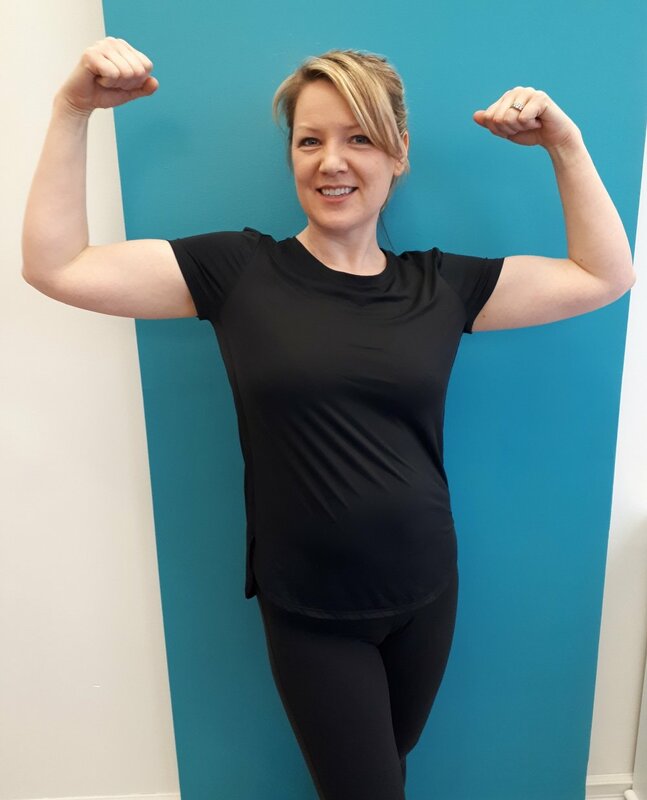 This month, our member is Jenn Kirk, who is one of our Move Your Body members and regularly attends a wide variety of classes, but her favourite is definitely Tone & Flex! We have seen so much change and progress in Jenn since her first class in August 2018. She is an absolute inspiration, oozing kindness, love and such a wonderful energy into our studio and towards other members. Jenn’s journey is about finding a safe space to learn to love her body without judgement. It is about finding her strength and overcoming her own fears of joining a gym! She is an inspiration to the powerful things that can happen if you allow yourself to be vulnerable and open to new opportunities. This month, Jenn, we celebrate YOU! We cannot wait to see what comes next in your journey. Thank you for being a part of our family and for sharing your story with us! 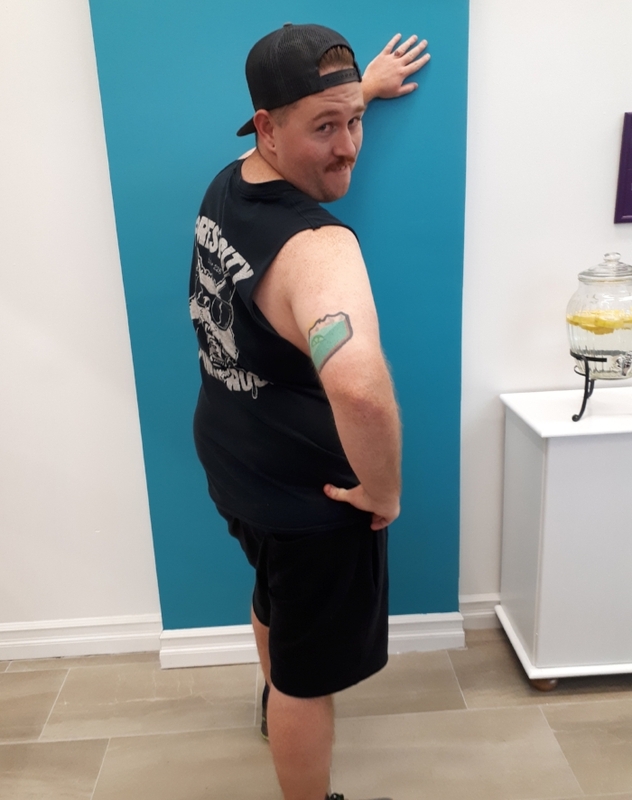 I first joined Loyobo FIT in August when I moved to Guelph. My motivation for the gym is low so I researched fitness classes where someone can tell me what to do and there is a set schedule to follow. I read such amazing things online about Loyobo FIT, that the gym is non-judgmental and let me tell you it is! I have always had a skinny body and sometimes get weird looks or comments “you don’t need to workout” and it is discouraging, feeling like you don’t belong somewhere just because the body type I cannot control. People believe they are giving you some sort of compliment but it affects you in the total opposite way. 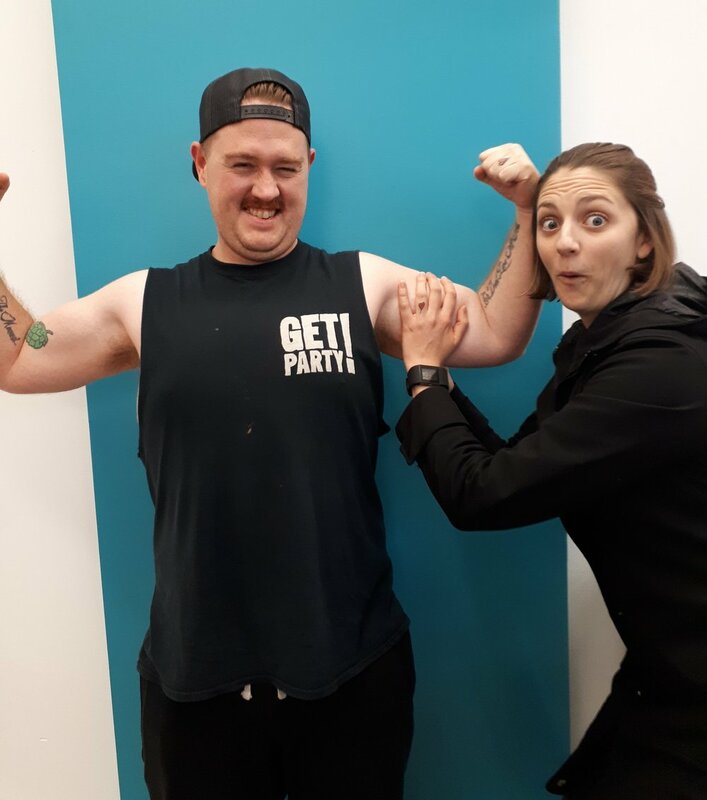 Loyobo FIT is a gym for all, and I have never experienced a feeling of not belonging: people are friendly and everyone is encouraged to embrace their own journey! Being in the Loyobo environment has been helpful to overcome my fear of not belonging in a gym because everyone is encouraged to love your body at every stage of fitness! I notice the changes in my body! I gained muscle that I have never gained before. I also noticed I am excited to have routine in my week and be a part of a community outside my working day feels purposeful. 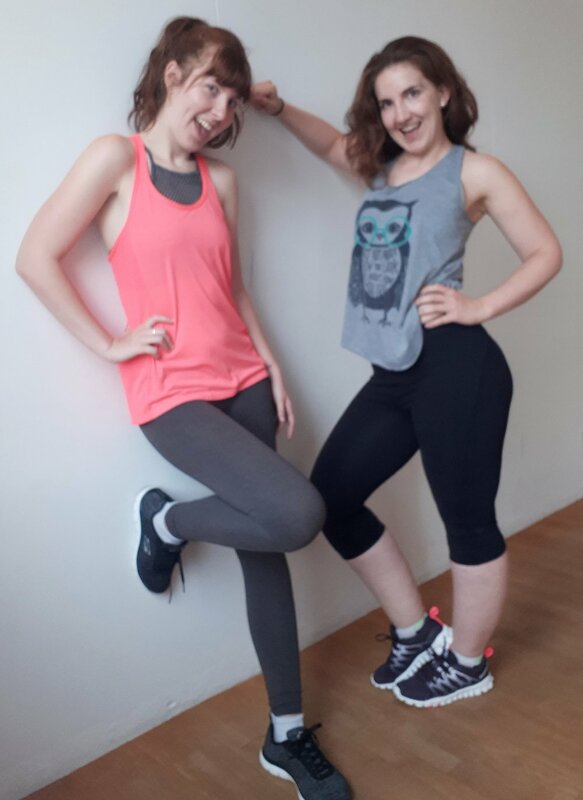 We did a fitness challenge and I planked for a total of 3 minutes! I earned bragging rights for this one! LOVE YOUR BODY! We all start at different stages and we all have a different purpose however that doesn’t mean we can all enjoy the exact same class! Being honest is the best way to gain change, hiding how you feel just keeps everything under the covers. Embrace what you are trying to change in yourself for the better! Tone and Flex! It is a great way to gain muscle and being a regular to this class is exciting when you choose a higher volume of weight and realize your gaining muscle before your eyes! I like the change in repetition of motion, keeps things painful - in a good way! Thanks for the recognition in my fitness journey! Congratulations Jenn! You deserve this moment in the spotlight as we celebrate the awesomeness that is YOU. THANK YOU for being vulnerable and open to sharing your story and for reminding us that we ALL have a story deserving of compassion and respect. All bodies are beautiful and we all have our own journey to find what health means for us. We are seriously so proud of you and feel so lucky to have you as part of our Loyobo Family! Feeling inspired? You could be our next Member of the Month! All you need to do is take the first step on your journey, just like Jenn. Try a class today and make sure to say hi if you see her around the studio! Meet Shari - Our January Member of the Month! 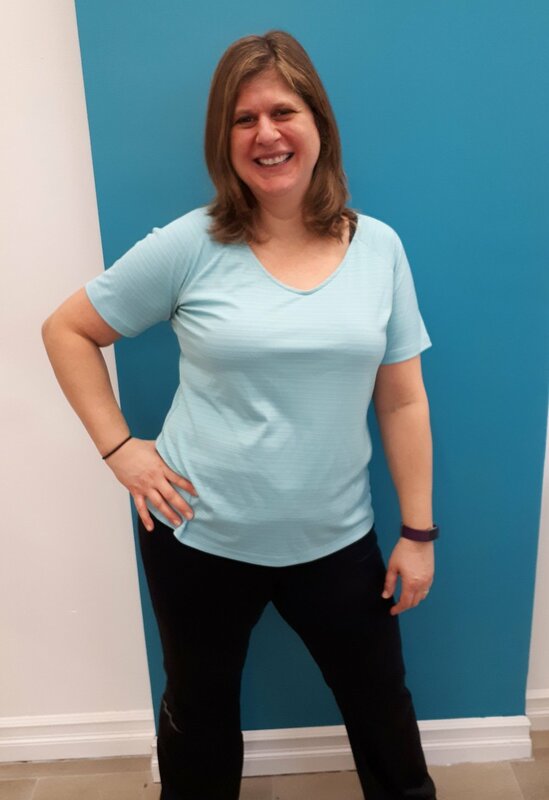 This month, our member is Shari Wiseman, who is one of our Move Your Body members and regularly attends a wide variety of classes, but her favourite is definitely Body Sculpt & Sweat! She is also part of our early morning crew, joining us at 6:30am despite adamantly vowing she is not a morning person. We are always impressed, that is for sure. Shari’s journey is about making the commitment to self-care and to prioritizing your own health, despite a busy family and career life, and multiple injuries! She is an inspiration to overcoming setbacks and continuing to push towards your goals! This month, Shari, we celebrate YOU! We cannot wait to see what comes next in your journey. Thank you for being a part of our family and for sharing your story with us! Shari and her son, Ben, who won first place at our Summer Loyobo FIT Games last August! Congratulations Shari! You deserve this moment in the spotlight as we celebrate all of your amazing accomplishments and perseverance. THANK YOU for showing us the type of amazing things that can happen when you are committed to yourself, are willing to try new things, and make the choice to remain positive, no matter what. We are seriously so proud of you and feel so lucky to have you as part of our Loyobo Family! Feeling inspired? You could be our next Member of the Month! All you need to do is take the first step on your journey, just like Shari. Try a class today and make sure to say hi if you see her around the studio! 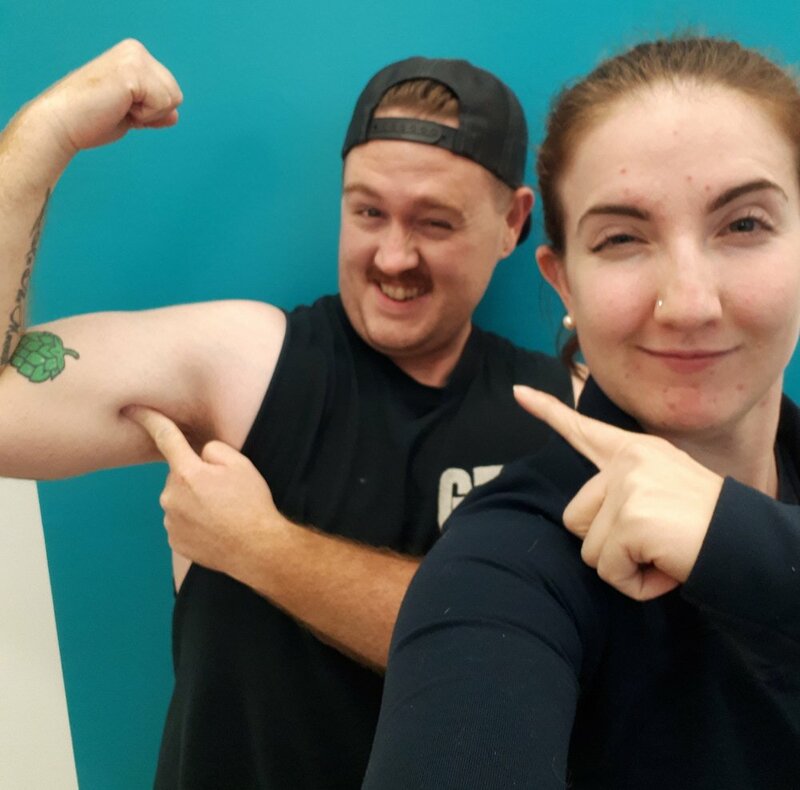 Meet Morgan - Our July Member of the Month! 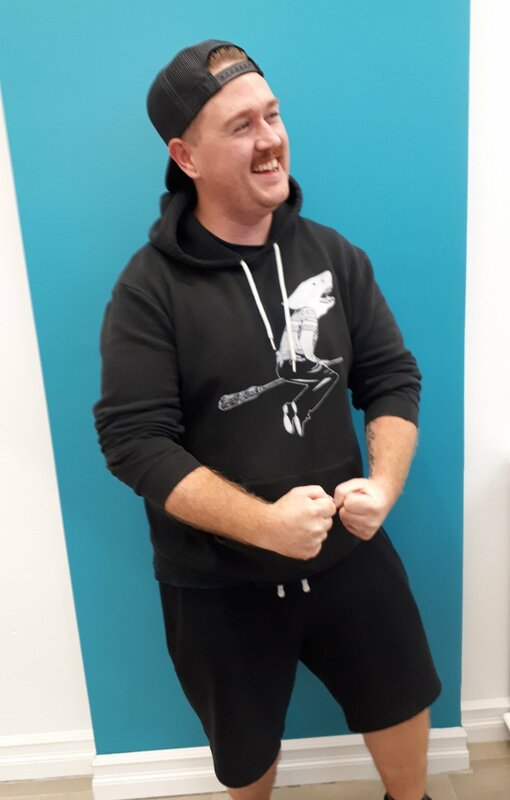 This month, our member is Morgan Baker, who is one of our VIP members and regularly attends a wide variety of classes, including Tone & Flex, Mind/Body Unwind and Zumba. Morgan's journey has been an exciting one. In February 2018, she tried her first Mind/Body Unwind class. This gentle, low impact class was a perfect fit and introduction into movement. Over the last 5 months, we have watched Morgan gradually push outside of her comfort zone: trying more and more new classes, taking on new challenges, and working to incorporate more movement into her life! Watching her progress has been amazing and, quite frankly, inspiring. Her confidence now shines through during class and we know that she is going to have such a bright future ahead of her! We cannot wait to see what she accomplishes. We are so excited to celebrate Morgan this month! We love her kind energy, joyful laugh and fearless attitude. She deserves a huge round of applause for her dedication and progress towards her health and fitness goals. So, without further ado, we are pleased to introduce you to Morgan! "I’ve been coming to LOYOBO Fit since February (I think?). The first class I attended was during the free week, and I loved it and was looking for more activity in my life and LOYOBO fit right in." "I want to feel strong, build confidence, and be energized in my life!" "I have an autoimmune disease that often leaves me uncomfortable and fatigued, and makes activity and exercise really challenging sometimes. I had gotten to a point in my health where even so much as going up a flight of stairs would leave me winded and tired, and being so out of shape discouraged me from pursuing activity of any type. I found that starting at Loyobo Fit in the Mind/Body Unwind class was a great way to ease myself into fitness classes. It was the first step I needed to make to start changing my lifestyle and bring health and fitness into it." "I definitely feel stronger already, and I can see change in my body. I feel more energized and active and ready to take on the world!" Can you describe one of your favourite achievements or #Loyobo moments? "My first Tone & Flex class was really rough for me. I got very dizzy and light headed and had to sit out for half the class. Courtney was really cool and checked up on me, but it was kind of embarrassing anyways. This was really typical for me when I would over exert myself before. Recently, I did 2 classes back to back, gave it my all, and sweated a storm. Not once did I feel light headed or weak. It was a moment when I realized how much my health has already improved." "You do you! Take the high paced cardio classes if you’re looking for fun, take the relaxing stretching classes if you want something slower! Whatever you do, whatever you try, it’s a step in the right direction!" "My favourite class is Zumba. It’s so much fun, and makes me excited to work out!" We are so happy to have Morgan as part of our Loyobo FIT family and look forward to seeing what comes next in her journey to health! Congratulations Morgan and THANK YOU for showing us the type of amazing things that can happen when you are willing to be open, vulnerable, and step outside of your comfort zone. We are seriously so proud of you! Feeling inspired? You could be our next Member of the Month! All you need to do is take the first step on your journey, just like Morgan. Try a class today and make sure to say hi if you see her around the studio! Meet Kathy - March's Member of the Month! 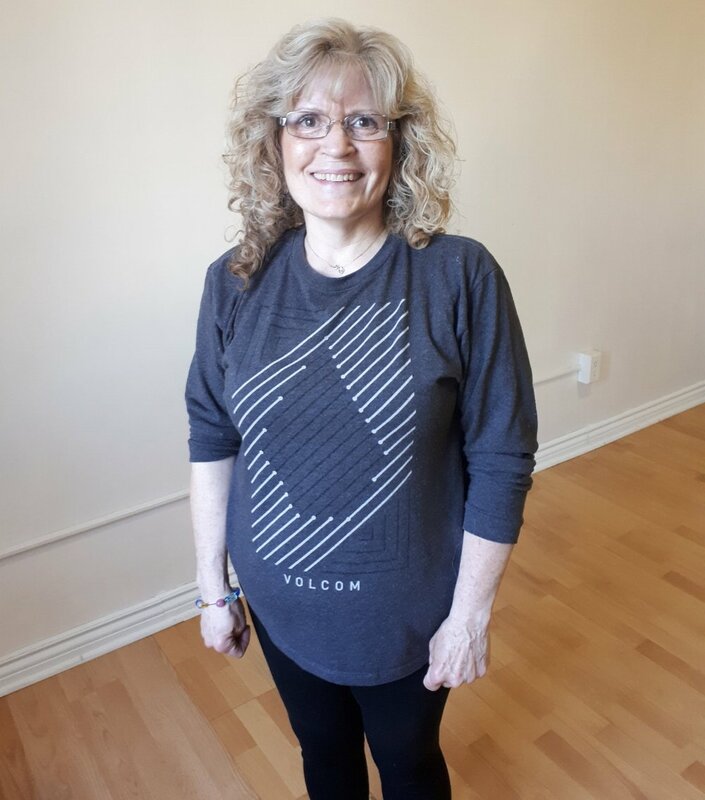 This month, our member is Kathy Rawson, who is one of our VIP members and regularly attends a wide variety of classes, including Tone & Flex, Strong by Zumba and Body Sculpt & Sweat. While she hates burpees, she loves working on her core strength and using fitness not only to feel better about herself, but also to manage diabetes. We are so excited to celebrate Kathy this month! We think that she is absolutely incredible and deserves a huge round of applause for her dedication and progress towards her health and fitness goals. Just look at her posture! Her confidence is absolutely beautiful. So, without further ado, we are pleased to introduce you to Kathy! "I've going since around April 2017.What initially inspired me to get back to working out is my husband. He became very ill at a young age and I almost lost him. It made me realize that I needed to take my health more seriously." "Keep my diabetes in check, stay in shape and eat healthy." 3. What do you find challenging in your health/fitness journey? What have you found most helpful in working to overcome it? "Most challenging for me is the up and down movements when working out and I tend to get light headed and my heart rate gets really high. So far I have not been able to overcome this, but Courtney provides me with modifications to help reduce the effects." 4. How has your life changed since becoming a member of Loyobo FIT? "I have more energy, sleeping a little better and I am in better shape and more toned." 5. What is your favourite memory or achievement of your time at Loyobo FIT? "My favourite achievement is that I have been able to reduce my insulin intact from my workouts which in turn will make me healthier in the years to come." 6. What advice would you give to someone just starting their health and fitness journey? "Don't give up, it seems very hard at first but when you start feeling better and start see the results of all your hard work it is well worth it." "Be Bold, Be Brave, Be You"
8. What is your favourite healthy snack? "To retire and travel in a RV south during winter months." "I really enjoy my workouts at Loyobo Fit. I have always struggled with self esteem issues and social interactions. Courtney’s classes have a great atmosphere. Friendly, outgoing, motivational and the right amount of push to help you reach your goals." We are so incredibly proud of Kathy's dedication to her health and are so happy to have her as part of our Loyobo FIT family! She always brings such a warm energy to class and is so welcoming and friendly to everyone who walks through our doors. Congratulations Kathy! We can't wait to see where your fitness journey takes you next and look forward to many more workouts with you in the future. Come meet Kathy and the rest of the crew by trying your first class today! You never know where your journey will take you: all you have to do is take the first step. That first step might be entering our Class Pass Giveaway, where you can win a 5 class pass completely free! All you have to do is click here to enter. The giveaway is open until March 30, 2018 and there are three prizes up for grabs. Do something today that your future self will be thankful for and who knows - you might be our Member of the Month soon! enter to Win five classes free! Meet Lori - Our First Member of the Month! Over the last few weeks, I have been thinking hard about how I can help to foster and build our community, celebrate your successes, and provide motivation based on real member stories. So, I have created our new Member of the Month Series! Each month, I will be featuring one of our members and sharing with you their story, tips for success, and a little bit of fun information about them! 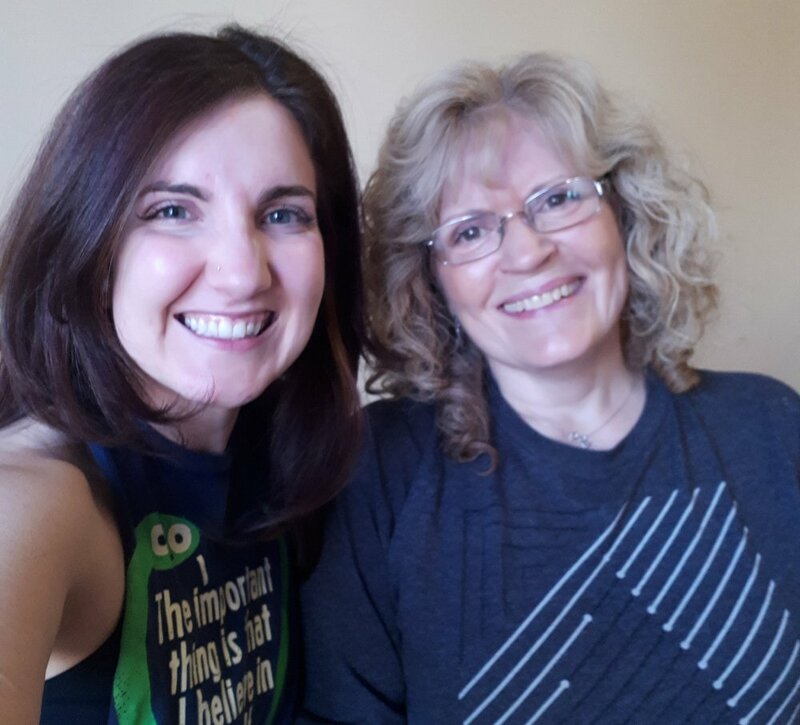 For January, and our very first member of the month, I am so excited to introduce you to Lori! "My Loyobo FIT journey began when I saw an advertisement on Facebook in August of 2017. I was in a rut with my workout routine and realized that I needed to make a change. First I tried a Total Body and Zumba class; Immediately I was hooked! I bought a 10 class pass and started with Total Body classes on Thursdays." "Goal #1: Chin ups! I would love to develop enough upper body strength to be able to do this challenging exercise. Goal #3: Develop core strength - I suffered from a back injury several years ago and while I have healed and moved on, I still find it difficult to work this area as I lack strength in it." "My workouts generally consisted of trail running and doing some cardio/weights in my basement. Inevitably I would plateau regularly and didn't see the results I was hoping for. When I tried Loyobo FIT, I realized that group classes were the missing element, as I need an external force to guide and push me outside of my comfort zone." "1. GAINS! Increase in muscle/definition (especially arms and legs). 2. I have a fitness community that I belong to and I love seeing the other members each week; we joke with each other, encourage and push each other in a non-competitive way. 3. Exercising is something that (as an adult) I naturall love to do. I don't generally have to force myself to workout because I love doing it and feel bettwe when I do. Before, when I was workout out solo at home, I sometimes struggled to schedule it in, but now I don't even think about it! I know I have classes on certain days at certain times and I hate missing them. Nothing gets in my way of attending a class ;) not TV, social plans, appointments, work... I've made it a priority." 5.What is your favourite memory or achievement of your time at Loyobo FIT? "Going from 1 class/week to now 8-10 classes/week! The first few classes I could barely move for a few days after - going up and down stairs was painfully hysterical! I couldn't even fathom attending another class/week, but now I recover much more quickly and can go to classes on back to back days AND do 2 classes in the same day." 6. What is your favourite/least favourite exercise or type of workout? "I don't necessarily have a favourite/least favourite. I guess I would say that any type of exercise where I feel a sense of accomplishment for having pushed myself a litle farther than usual/completing something I never had previously is my favourite. I love a mix of cardio and resistance training - a well-rounded approach to fitness." 7. What is your favourite healthy snack? "Currently - hazelnut butter on sliced granny smith apples OR popcorn with herbamare and nutritional yeast!" "To see my business Fun Fearless Females thrive. Through FFF, I support adult women with developmental disabilities in all areas of health and wellness (nutrition, fitness, social & emotional well-being). I have big plans for it and I hope that I can make them a reality!" 9. Anything else you would like to share? "I am so grateful to have found Courtney and Loyobo FIT; I feel like it was meant to be! Sounds sappy but I'm being sincere ;). Courtney's energy and personality are what really drew me to join Loyobo FIT and I only wish that I had found her sooner! I look forward to continuing to be part of the Loyobo FIT community and I can't wait to see what's next!" 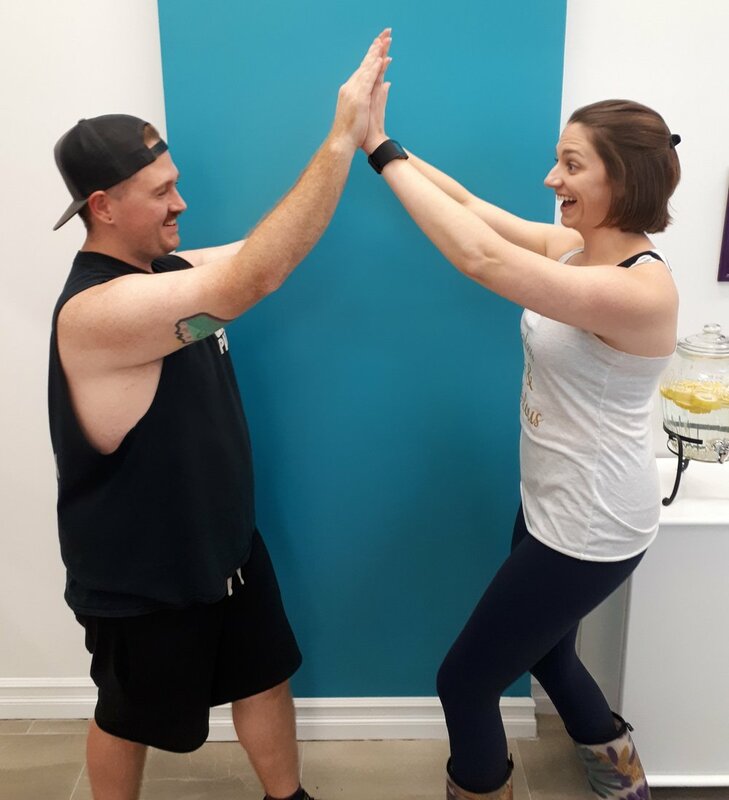 We are so incredibly proud of seeing how much Lori has found her strength and are so happy to have her part of our Loyobo FIT family! It was a no-brainer on our end to make her our very first Member of the Month. Congratulations Lori! We also can't wait to see where your fitness journey and business adventures take you next. Come meet Lori and the rest of the crew by trying your first class today! You never know where your journey will take you: all you have to do is take the first step! Friends & Family FREE Week - February 5 to 11, 2018! Yes that is right - we are offering a FREE week of fitness classes from February 5-11, 2018. First time participants and new members can try any of class formats completely free during this week! The pass can be used once per format - so that means they can try up to seven classes TOTALLY FREE! Yup. We know. Its pretty exciting. You can check it all out on our Facebook event or you can sign up to get your free pass now at www.Loyobofit.com/events! Please help to spread the word and invite anyone who could use a little fitness boost to help them reach their goals and feel better. Also - if you are a current member or pass holder, make sure to preregister for classes during the Free Week to save your spot! We will see you all again soon. Be happy. Be Healthy. Be a Stronger You!